In his book Eaarth, Bill McKibben explains that the effects of man-made global warming are not a thing of the future, but are already here now. Human activity for the past centuries has already changed the Earth we thought we knew. How can we learn to love this damaged Earth that human activity (both knowingly and unknowingly) has created? How do we wrap our brains and hearts around something this huge? And how do we do this in a way that offers healing, renewal, genuine hope and a path forward? These are the questions swirling in my heart, as I stand ankle deep in a stream in San Antonio, Texas. The stream flows from a spring called “The Blue Hole”, headwaters of the San Antonio River that flows to the Gulf of Mexico. It is June 2010, and the largest oil spill in history is still pouring thousands of barrels of oil a day into the Gulf. Around me are others, gathered in ceremony to express our grief for the wounded waters of the Gulf – and our aquifer, of which the Blue Hole is a part, itself endangered by over use, over development and drought. Someone has brought a box of Kleenex. It is passed freely among us as each of us speaks our sorrow and grief for wounded waters of the Gulf and our aquifer. This gathering is part of the first Radical Joy for Hard Times, a worldwide community of people committed to finding and making beauty in wounded places, founded by Trebbe Johnson, a writer and Wilderness Guide. One by one we stand in the stream and offer our acts a beauty – a poem, a song, heartfelt words – to the spring that is part of our aquifer and to the stream, which will carry them to the Gulf. Handmade “boats” fashioned from leaves and moss are placed in the water to carry our acts of beauty to the Gulf. At about the same time Annie Bloom and Jade Sherer, Guides with Bill Plotkin’s Animas Valley Institute were grieving the Gulf oil spill, asking themselves and each other how to bring the idea of finding beauty in a broken world more fully into their work. From this, their program, Turning Toward a Breaking World was created. Both Radical Joy for Hard Times and Turning Toward a Breaking World draw from the work of Eco-philosopher, Joanna Macy, who began working with this theme decades ago. Her Work that Reconnects is a path-breaking approach to opening our feelings of sorrow and despair, and the amazing things that can flow from having the courage to do this. “(By) acknowledging the emotions of losses we are experiencing, continuing to experience, we find a way to move the energy, shift the energy,” Annie Bloom explains. Why should we turn toward a breaking world or spend time with wounded and damaged places? Why open ourselves to pain, sorrow, despair and plethora of other difficult feelings? Isn’t it better – or at least more pleasant – to look at the good side of things? Our society is relentlessly positive. Mention global warming at a gathering and you will likely be considered a real downer, if not downright rude. We are taught to keep smiling, think positively, to turn away from what feels painful, what seems beyond our control. Joanna Macy calls it a “cult of optimism”. Yet the pain is there, sometimes suppressed so thoroughly that we think we’ve escaped it, that it just isn’t there. We may turn away from photos showing the moonscape of Appalachian mountain top removal for coal mining, push aside an article about the wetlands of Louisiana still wasted from the Gulf oil spill of two years passed, look the other way as we drive past garbage collecting in a vacant lot near where we live. Yet each of these places is part of our Earth, as we are part of this Earth. There’s really no escaping it. “The problem …lies not with our pain for the world, but in our repression of it,” writes Joanna Macy in her book Coming Back to Life, Practices to Reconnect our Lives, Our World. We live in a culture of either/or, rather than both/and; a culture that separates things, rather than seeking to understand their interconnections. It is a culture of consume and discard, a culture that teaches us to view our planet, as Joanna Macy puts it, as “storehouse and sewer”, rather than a living whole of which we are a part. Yet it is exactly this way of thinking, being, and doing that got us into the predicament we face today – that we now live on the planet Bill McKibbon calls Eaarth, different from the Earth we once knew. 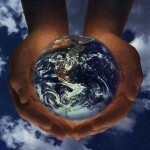 Each of us and everything else is interwoven into one finite planet. No matter how much we turn away from it, there it is… the wounded places, our changing Eaarth and the pain we feel…. waiting to be reclaimed as part of the whole of us. This is the first gift of our pain – of our willingness to turn toward a breaking world, learning to love and offer beauty to a wounded place – to show us our interconnectedness with the Earth. In June 2011, I am again standing in the place where water flows from the spring called the Blue Hole, to form the headwaters to the San Antonio River. I am here with others for the second annual Radical Joy for Hard Times Global Earth Exchange. This year, there is no water. This spring is dry. Texas is gripped in the worst yearlong drought since rainfall recording began in 1895. There is widespread agreement among climatologists that Texas will get drier over this century if greenhouse gas emissions continue to grow. One woman has brought small vials of water, taken from spring when it was still flowing. One at a time, we open a vial and offer the water back to the spring, with heartfelt words of love and longing. Another woman climbs into the cavern that is the now-dry mouth of the spring to clean out the trash people have thrown there. This time the gifts we have handcrafted from leaves and twigs and moss are left on the parched earth near the spring’s dry mouth. Again there are tears. People have been coming to this spring for at least 11,000 years. Native peoples held ceremonies in this place, and consider it sacred to this day. People of all ethnic backgrounds spend time with this spring. This place is loved. For Trebbe Johnson, the experience of learning to love a wounded place is an integral part of Radical Joy for Hard Times. “Whether we think of our Earth world as Mother, Home, Lover or Child, who would not want to tend any one of those if they were wounded? The break happens in the relationship…if we have not formed a relationship with Earth, we are not bound to care for it,” Jade Sherer offers. As part of her journey to create Radical Joy for Hard Times, Trebbe visited a former air force bombing range. There, among the bomb-devastated earth, she found swallows nesting in craters left by the bombs. In our culture we tend to cut ourselves off from things we, or our society, considers unacceptable. We turn away from a wounded place in nature, a homeless man standing on a street corner, our own difficult feelings and the parts of ourselves we or our society views as undesirable. Embracing what we have been told, or tell ourselves, is unacceptable, frightening, even dangerous – from the full truth about the effects of global warming, to our own difficult emotions, fears and woundings – can be one of the hardest things we ever do. Yet this simple and profound act allows us to reclaim our wholeness – of ourselves and in relationship to others and our Earth. “You are complete as you are, even in your wounds,” she emphasizes. The second gift of opening to our pain – turning toward a breaking world, offering beauty to a wounded place – is learning to embrace all of ourselves and our world, making ourselves and our relationship with the Earth whole. When we have the courage to turn toward the wounded places, within ourselves and with our world, something else astonishing and beautiful can happen. We find that the wounded places on Earth that draw us to them will reflect our own personal woundings. Not that wounding is a good thing. It’s not. Yet personal woundings happen in this experience we call life. It seems to be part of being human. And often a person’s greatest strength and gifts will flow from their personal wounding. Finding the place where our personal wounding intersects with the Earth’s wounding, can lead us to that place where our gifts most meet the needs of our Earth and these times. This happens because we are part of this Earth and evolved within its embrace. “We all live within the soul of the world” says Annie Bloom. “If we get an understanding of how our personal wounds are embedded in the world’s wounds, we respond to the world differently. We move out of a place of hopelessness to a sense of something we can do…. The more conscious we are of the depth of ourselves, the more effective we are in changing things,” she continues. Guiding people to this depth where personal wounding meets world wound, so each person’s gifts can fully flower, is a large part of Annie Blooms work. 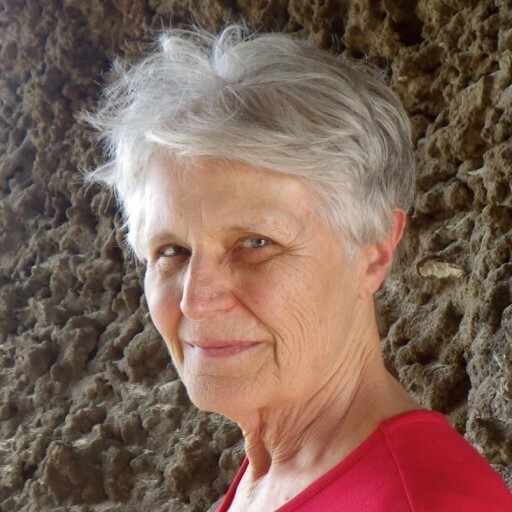 Joanna Macy’s “Work that Reconnects” offers a spiral through which participants begin with their gratitude for the things they love in this world, then move through “honoring our pain for the world” to “seeing with new eyes” and then “going forth” (as she calls these aspects of the spiral). The third gift of opening to our pain – turning toward a breaking world, offering beauty to a wounded place – is connecting our personal wounds with the world wounds, and through this opening our deepest energy and understanding to act on behalf of our Earth in this time. It is autumn, 2011. The Texas drought continues under a relentless blue sky, with temperatures over 110 degrees. I have come to this dry spring, where water once flowed so abundantly it sometimes gushed 20 feet into the air a mere 200 years ago, an eye-blink in Earth and human history. I am here to say good-bye. I am leaving San Antonio, a move many years in the making. This dry spring and the relentless drought reflect parts of my own inner-landscape and wounded places. The spring understands this. I whisper my story as I place my cheek on her parched earth. As part of Joanna Macy’s Work that Reconnects, there is an activity where participants reply to an imaginary future child who asks, “Where did your find the strength to do what you did?” (which saved the world from disaster). One aspect of Turning Toward a Breaking World is to “tune our ears to the encouragement and council of the future beings”. “When we address voices of future generations, it really awakens awareness of how deeply our actions today are going to impact the future,” Annie Bloom says. It is May 2012. Friends in San Antonio tell me that rains have come, and the spring now offers a trickle of water. Texas is still far below needed levels of rainfall. The drying trend continues. This year, on June 23, acting in concert with people on every continent, I will offer a Radical Joy Earth Exchange in my new California community. (www.radicaljoyforhardtimes.org). This year Turning Toward a Breaking World takes place August 2nd to 6th. (www.animas.org/programDetail.asp?program_ID=26&programYear=2012). This spring, Joanna Macy published a new book, Active Hope, How to Face the Mess We’re in without Going Crazy, that is a deepening and expansion of her Work that Reconnects. (www.joannamacy.net). Across our globe voices and hands and hearts are weaving networks and visions, creating new ways of loving, tending and being with our Earth, including those parts that humanity has wounded, extending invitations for others to find their own ways to join in. Each of us has a part to play in the writing of a new story, which can be a hopeful story, of honoring and learning from the wounds, of making beauty through and with the wounds – those of ourselves, our culture and civilization, our Earth. Perhaps the most precious gift we receive in turning toward a breaking world, loving and offering beauty to wounded places, reclaiming wounds, is what we will fashion from this to pass on to future generations. Perhaps from this wounding of which we are a part, we can each make an offering to future generations who will have to find their own way of creating a meaningful life on and with the planet Bill McKibbon has named Eaarth. Dianne Monroe embraces our Earth and shared future from Sebastopol, California. She is an Expressive Arts Facilitator, writer, and photographer offering workshops and individual mentoring for personal evolution and transformation, supporting people in the discovery and deep understanding of their voice and place in this world and these times. (In some situations she can work by phone or skype). Contact her (dianne@diannemonroe.com) or visit her (www.diannemonroe.com). Right on! Thanks so much Dianne for all you are doing and being/Being. Peace is prevailing on earth! Thank you for this. Everything must go at it’s own pace.